Rapid Recovery Service, Inc. is certified and licensed to renovate structures that have lead-based paint. Recent rulings by the EPA have required that all contractors that disturb lead-based paint as a part of their work must be: trained, certified and licensed to deal with this hazardous material. 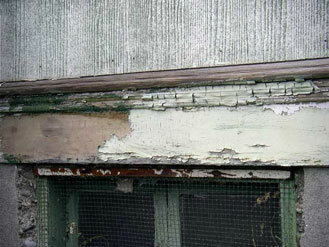 As of April 2010, federal law requires that contractors performing renovation, repair and painting projects that disturb lead paint in homes, child care facilities, and schools built before 1978 must be certified in the new EPA Renovation, Repair & Painting Rule (RRP) and follow specific work practices to prevent lead contamination. Visitwww.epa.gov/lead/ for more information regarding the new lead laws. If you have a structure with lead paint contact Rapid Recovery Service to have our certified lead paint painters and lead paint remodelers safely help you with your next project. Lead Removal or Abatement methods consist of removal, enclosing or encapsulating a building component. When a hazard is treated with abatement it must be performed by a Michigan licensed abatement contractor. Renovation and remodeling contractors may perform some types of work (window, door or other component removal or enclosure) if the primary intent of the project is not to eliminate the hazard. Michigan law does not permit these contractors to use or advertise abatement methods and services without proper training and licensing. As a homeowner, you can remove building components with lead hazards but it is never advisable. Removal should be performed by certified and trained renovation contractors who have an experienced understanding of the hazards they create. Homeowners should be aware of Michigan’s and EPA’s “Pre-Renovation Education Rule requiring all contractors to provide lead hazard information to homeowners before conducting renovations and remodeling. In 2006-07 the Centers for Disease Control performed a study in New York city which revealed that 14% of children with elevated blood lead (EBL) were found to live in households where a renovation or remodeling activity occurred. While the types and processes associated with the work were not part of the study it is widely understood by the lead risk assessment community that much of the work involved window or door replacement or exterior painting. Another abatement procedure performed by licensed lead abatement professionals involves the covering of lead-painted components with an impermeable liquid coating that safely seals the paint beneath. Encapsulants, when properly applied, will provide a durable and effective treatment of components with a large surface area (such as interior walls/ceilings/trim and exterior walls, soffits, casings) for about 20 years. They will need to be monitored for new damage and eventually re-applied. A more permanent hazard abatement method involves the construction of a permanent barrier on or over the component. Exterior siding and component wrapping, installation of drywall over existing walls and ceilings and the “boxing-in” of a component are all effective abatement methods.